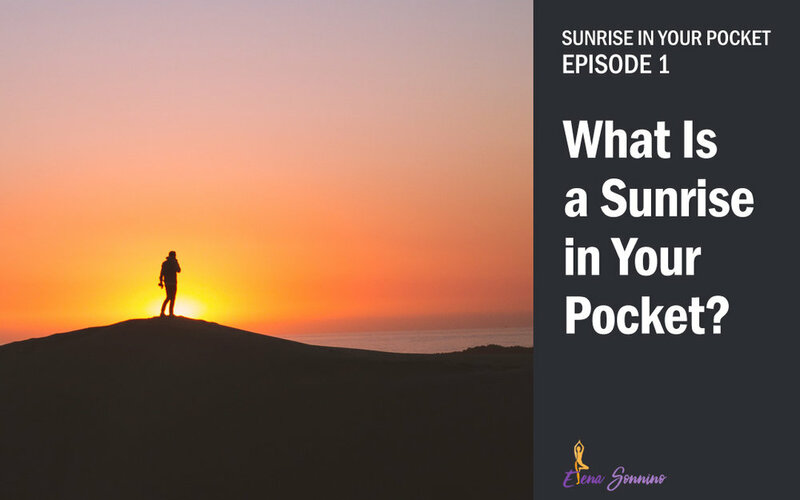 What is a sunrise in your pocket, and why should you care? Those are the BIG questions that I am diving into today, describing why sunrise – instead of sunset – is so powerful. If there is one thing I believe for sure about life, it is that we have everything we need and crave already within us. While the help of a guide, a life coach, a teacher, or a great book can help put us on a path and help us get out of our own way, the true teacher already exists inside – if only we’d create the space to connect and listen. Highlights for What Is a Sunrise in Your Pocket? Notice where and how your inner strength and wisdom have shown up in your life and in the now, the moments where your heart of hearts has felt clarity. How would it feel to believe, without a shadow of a doubt, that you have an inner guidance system with you, every step you take?